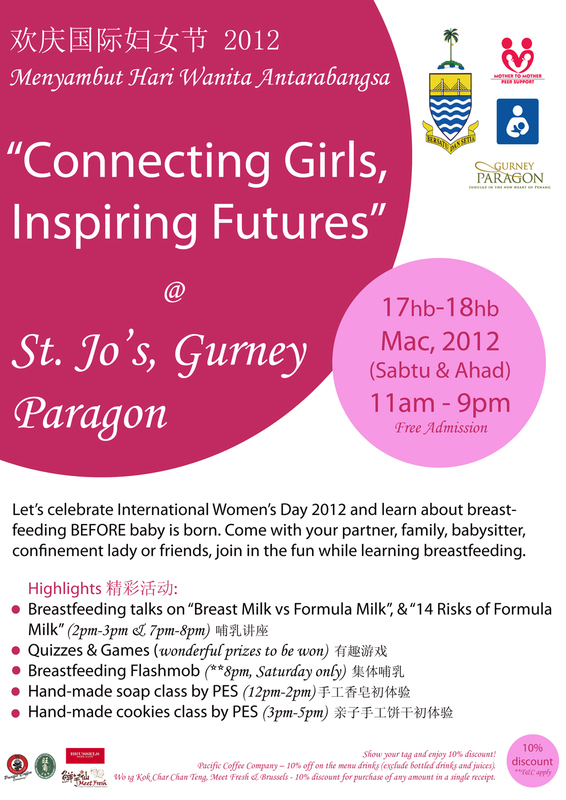 Make Penang Breastfeeding Friendly (MPBF) will be celebrating International Women’s Day 2012 themed “Connecting Girls, Inspiring Futures”. The inauguration of the event will take place at 11am on Saturday 17th March 2012, a Line Dance presentation will mark the launch. The exhibition will continue on from 12:00 noon to 9:00 pm on the 17th and 18th March 2012 at St. Jo’s, Gurney Paragon. – Wonderful prizes for fun quizzes and games winners.